As you know, I acquired Sean’s ‘old’ G1 phone. So 4 days ago, I started to use the above named app which is also online where you can utilize it for free. The phone app is pretty good and it’s really an eye-opener too. For instance, after eating lunch, I had used all my sugar credits-that quickly. You plug your weight and weight loss goal in. You can even scan the food packaging (you have to download a bar code scanner) and it finds the nutritional info 8 out of 10 times. Then, if you are like me, you eat similar foods and you just check them off and they get added to the correct entry. You also say what kind of exercise you do (mine is mostly walking and gardening) and you ‘get’ credit and can have a snack that doesn’t go over your daily calorie intake. I’m really trying to get serious about weight loss since two of my brothers have Diabetes and I am being watched for it. I’m giving the guys whole wheat pasta and other fiber rich foods. My tummy was making lots of noises this morning-lol. I’m going to go out to eat once in a while. Yesterday was a ‘over the limit’ day, so I ate lighter today. I do like the credit for exercising-you just have to be honest! I have an ‘Asian’ garden under the Japanese maple tree-why not! I try and paint the little pagodas, but missed the one last year. I have my Sweet William (Dianthus) under it. I believe it’s a biannual, but I add to it every year. My grandmom loved Zinnias and Sweet William as that was her dad and brother’s name. 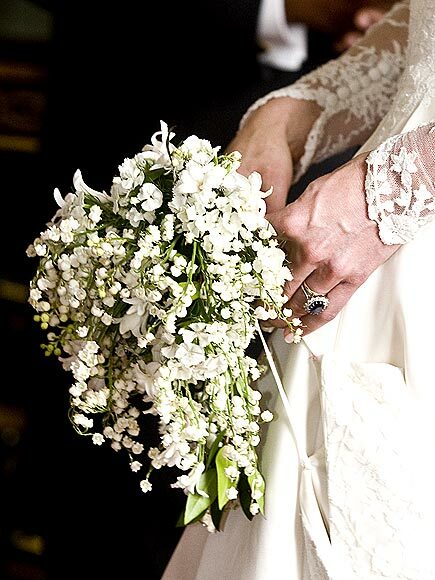 Princess Catherine had some white ones in her wedding bouquet. I love them too for their colors. I added some white Impatiens and a few potted plants like Begonias and Zinnias in there too. The heat here is southeastern Pennsylvania has been miserable the last few days. I am so glad I mulched when it was still in the 80s! A cold front is on it’s way! Both Brian and I are off to the dentist tomorrow-him for 3 of 6 fillings he needs and me for a chip in a fix-ka-ching! The fitness pal app sounds interesting. It is amazing what a phone can do today! It was mid 90’s here yesterday. I hope today is cooler! I was just looking at your Flicker photos. Those dress form flowers are wonderful. 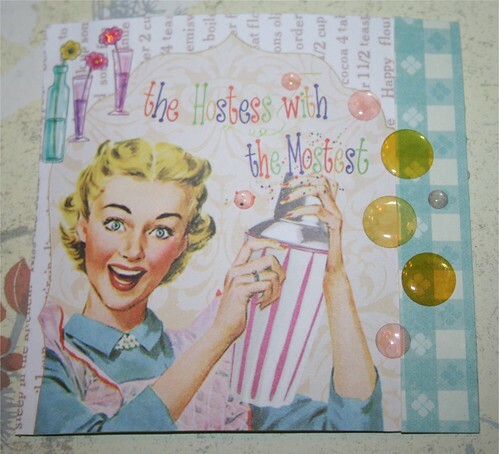 Your collage is so delightful, I love the 50’s style lady on it. I haven’t worked on any ATCs in a couple of weeks now, just haven’t had the time. It was in the 80’s over here yesterday and felt like 90’s with the humidex, I thought I was going to melt! lol Today, it reached a high of 61…go figure! I just love your Asian garden!! 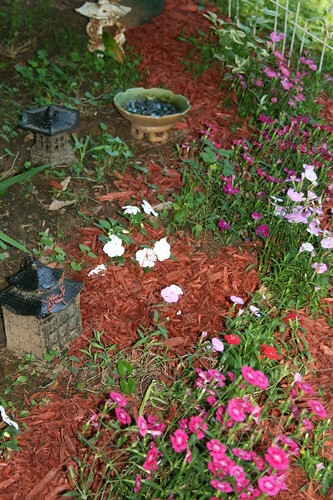 Next week I’ll go get some petunias as well as some impatiens to plant in my faerie garden. Hopefully the danger of frost is now over!! !